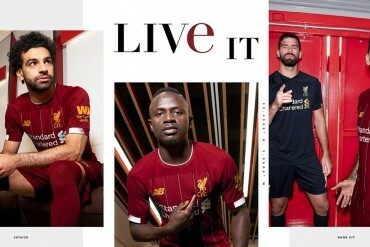 Even though it was only released yesterday – Footy-Boots.com have been trialling adidas’ newest model for some time time now. 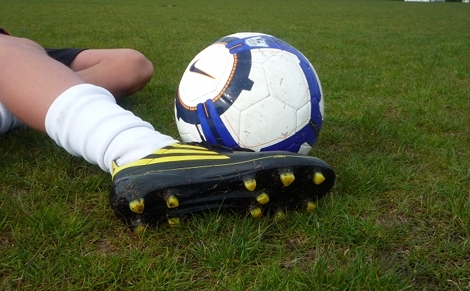 Here’s our thoughts on the lightest football boot to date! 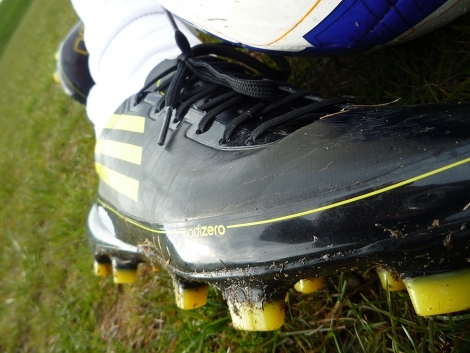 Looking at the f50 adiZero – I was filled with a sense of dread. It’s a speed boot, which usually means blistered heels. And one of it’s other main selling point is it’s single-layer construction. What that usually means is it’s going to crease up and rub just about everywhere else on the foot too. How wrong that turned out to be! adidas can give themselves a serious pat on the back for the fit of this football boot. For your average sized foot, these boots have an outstanding fit. Straight out of the box, these boots were not only wearable, but also comfortable and flexible. Starting externally – the lacing system might not look particularly elegant, but this is actually one of the reasons for the f50 adiZero‘s success. The wide channel for the laces means you can adjust the fit of the boot without worrying about making the surface of the boot uneven. Another excellent feature of the fit is the cut of the boot itself – particularly around the ankle. adidas have opted for a high front and heel to the boot – presumably to enhance stability -' but unlike some other boots that have tried this, the shape of the f50 adiZero curves around the heel and dips under the ankle, which prevents any rubbing in those areas. Another nice feature is the choice by adidas to include two optional insoles, for your own preference of Ultralight or Comfort. I’m not going to go into great detail on each of them; Ultralight is dotted with tiny holes to decrease weight and improve ventilation. Comfort has foam padding. The Comfort sole is still plenty light, and the Ultralight isn’t really uncomfortable. So there’s not really anything to choose between the two – however if you have knee or ankle issues opting for the Comfort sole might save you any further aggravation on very hard ground. One main issue that people have taken with pictures of the f50 adiZero is that it looks – well – kind of flimsy, and I can see why. The good news is that the boot is actually quite solid for two reasons: First is the construction. The adiZero has no proper sockliner to speak of, no two-piece outsole, no swerve zones or rubber panels and so on. 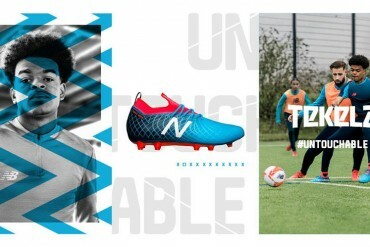 The football boot is literally an upper, a sole and some laces (Okay, there’s a TPU bottom-frame and interchangeable insoles, but you get the idea) which means that there’s actually very little that can go wrong on the boot. The heel counter forms from the soleplate, which means that as well as being as tough and solid as the bottom of the boot it is also impossible for it to come away from the upper unless the whole sole does. The second is the choice of material. The SprintSkin used on the Upper is actually very tough. It seems to be made from a single piece, as well as just being a single layer, which means there’s nowhere for any stitching to come loose. This was always going to be an interesting section to write – as without the ball the adidas f50 adiZero feels like just about nothing! The boot is comfortable and unintrusive, and I don’t need to tell you all how light it is! With the ball, I did have some issues with the SprintSkin. Having played almost exclusively in leather boots for the past few months, it did take a little while to get into the ‘feel’ of the more frictionless SprintSkin of these football boots. But I imagine anyone that’s been playing in any of the old f50 models will feel right at home in this new model. 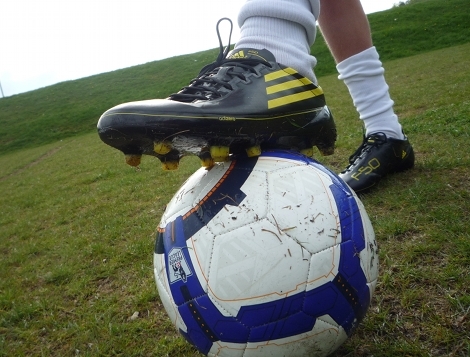 Striking and passing the ball is remarkably standard in these boots – the side-offset lacing gives a nice big area to hit the ball with when passing and crossing, and thanks to the boot’s laces extending a fair way down the boot you do get a nice snug fit around the instep for receiving and distributing passes. Another worthy note is the sole plate. The f50 adiZero features some very unorthodox shaped studs, they’re very narrow and angular which makes them great for gripping into the ground. 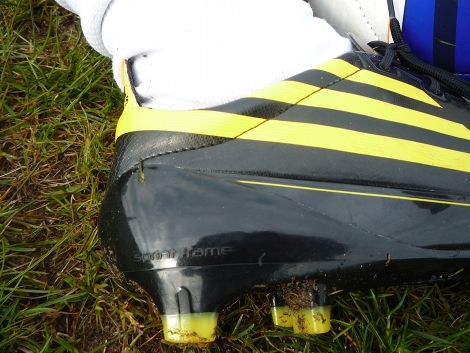 Whilst slightly longer than many other FG studs are nowadays (You wouldn’t get away with wearing these on artificial ground like you would many other FG boots) the smaller surface area for each stud means that your weight is distributed to a smaller, narrower point (like running track spikes) which makes shifting and changing weight whilst running more efficient in these football boots. adidas have made an excellent boot in the f50 adiZero. In a similar vein to the Nike Superfly II, at it’s core it’s a simple concept for a boot: No swerve zones, no power enhancing technology, no protection zones. 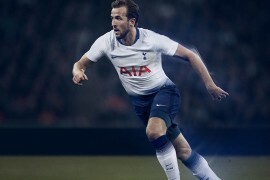 Whereas Nike offered acceleration-enhancing technology at the sacrifice of having the boot carry more weight; adidas have left the boot completely luxury-free to make the boot as light as it possibly can be. 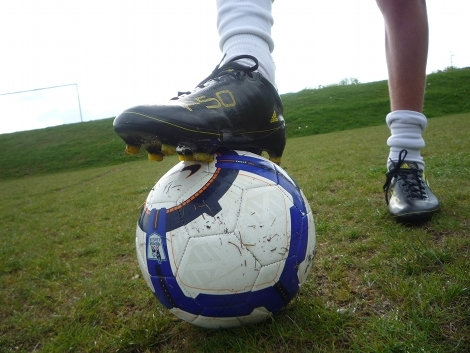 Passing and shooting isn’t something that you’ll feel any benefit in, and the boots don’t offer anything groundbreaking in the way of foot-protection (although it is sturdier than you think it might be). What the boot does give, though, is that unbelievable feel of lightness. Running off the ball, or knocking a ball past the opposition and sprinting onto it has simply never felt so satisfying. If you’re a confidence player, who thrives on having a mental edge in the department of speed – you’re going to love the adidas f50 adiZero. The complete lack of weight will encourage you to chase down lost causes as long as you’re on the pitch, and the sense of agility that they give you will make you want to go out in the garden and practice your stepovers and 360-turns until your legs drop off. For everyone else, I’m not going to convince you that a few extra grammes will make any difference to your game. What I will say, is that it’s a great gimmick-free boot that’s hard wearing and comfortable, as long as you can put up with the more frictionless upper that comes part and parcel with the SprintSkin you’re probably going to enjoy this regardless of how much it weighs. Great review. How long have you been testing them for? I know I have had my pair for quite a few months now but I have not worn them and was curious to see if these boots are going to hold up durability wise in the long run. Well done on the review, very un-hyperbolic and factual. 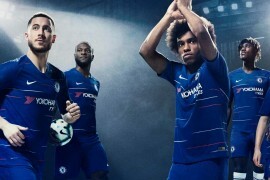 It seems as though adidas have come out with a winner. I remember reading a comment a while back (by Kyle I think) saying that there was going to be a Mizuno Wave Ignitus review when the boot was officically unveilled. Any word on that? am i right in assuming that the sizing runs true what are you recommendations for an average foot not wide or narrow? I would have loved a lace cover but even without it, I really like the boots. I have been enjoying the CTR360s for a few months but will consider these when the time comes to change. The superfly is too narrow for me. Do you think this boot will be any better? hi. i am looking to buya new pair of boots, either astro or indoor ones. Which ones in your opinion are more comfortable, seeing that i am flat footed and sometimes the arch of a boot hurts.My last pair were indoor adiNovas. They are really comfy but is that just because of the leather? (I have wide feet)Also, does offset lacing affect whether the shoe is better for wide or narrow feet? 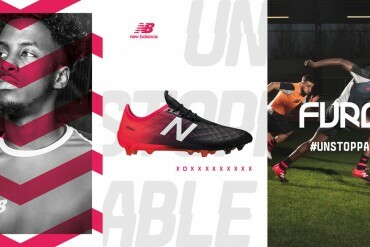 for many of you who have been saying “football is about the player and not about the boots” i think this is the boots that you have been waiting for. it doesn’t say that you’ll kick harder, it doesn’t say that you’ll pass more accurate, hell… it doesn’t even say that you’ll run faster. its just… light. a light, simple boots that won’t bring out the best in you, but won’t stand in the way in case you want to unleash your best. One of the features that adidas advertises for the adiZero is the “grain” found on the upper in that general striking area which they claim provides a little extra swerve. I’m assuming though from your review that you didn’t notice it then? Nice review… I really like the way its very impartial, not being too enthusiastic while stating facts as facts. 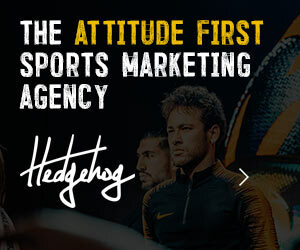 From the looks and sound of it, adidas has a real winner here. But it took them awhile to get here, leaving Nike the room to own the Speed category… but maybe with F50 adizero, adidas will re-define it! Great review going to have to try on a pair at the very least. I must say the places where the Superfly 2 falls down on the Adizero seems to excel in, especially the comfort and weight. It makes you wonder really how Adidas have managed to create such a light boot, considerably more lighter than the Superfly 2 without using the ‘groundbreaking’ and expensive technology Nike employ such as Flywire and Carbon Fibre Soleplates. Its almost as if Nike insist if you want a light boot you need to use Carbon Fibre and Flywire and sacrifice comfort and lots of hard earned cash (e.g. 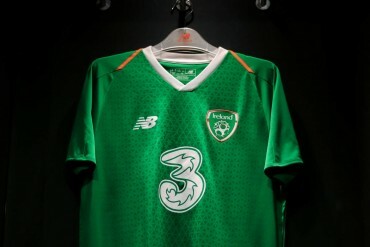 the Elite range) but Adidas have just completely blown them out of the water with the Adizero. Showing that you dont need all the bells and whistles to make a really good light boot. It will be so interesting to see which players perform best in the WC with the Adizero Vs the Elite Superfly. @misterbroom12 – we’ve been testing them for a few weeks- nowhere near as long as you’ve had yours! @Mike – watch this space, you’ll probably notice we haven’t had too many boot reviews recently because of all the new releases! @mugen – Yes, the length of the boot is true to size, and the width is quite adjustable so for your average or narrow foot – I reckon this’d be a good fit! @Connor Wallace – We’re yet to receive the full specifications on the leather one, so we can’t comment! @Russell Johnson – It depends how narrow it is for you, if they’re only a tiny bit too tight, I do think you’d have more success with these: but nothing beats going and trying them on! 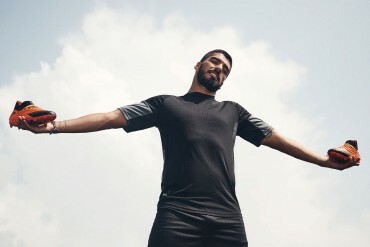 @Zain – Sounds like you’ve got troublesome feet my friend! I would guess that the adiNova’s leather upper is a factor in the comfort you feel currently(I’ve got the adiNova II myself). @channo – Agreed – as poserish as it might sound, it’s confidence thing! They are a bit ‘box-y’ – all angles and squared off stripes! @fifinho – No – really not! The grain on the top is very, very low profile, and kind of in the shape of a giant thumbprint. I, personally, noticed no difference when crossing and taking corners. Still, I should have mentioned that, so thanks for bringing it up! The new review system is a copy of ***! They started using the footballs as a scoring system! You mean football-based websites use footballs as a scoring system? 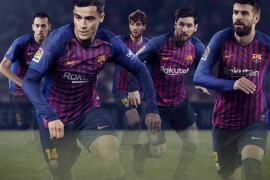 Hey all, just been doing some homework on the weight of all the new Adizero range and various boot selling websites have been quoting various weights, but can someone clarify if I am right? Oh yeah Kyle in the vid above I noticed you were wearing the new Mizuno Wave Ignitus so I presume a review soon? Perry, I’m becoming concerned about your focus on boot weight! Based on what we’ve read, your figures are right. Presumably the TRXTF models weight the most as they have the thickest of the soles, to cope with the friction of astroturf and shock absorption. And yes – consider that a sneak peak! Oh there is a video?! I guess my work internet does not let it through. Looking forward to the Ignitus review. would like to get these.But already have to many boots! 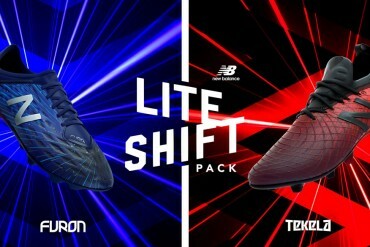 funny how nobody mentioned the way the sprint frame has been designed with stiff ribs at the middle so that it can bend and flex at the toes while the rest of the boot rigid.. i think that is one of the most important aspect of any soccer cleats =) think that has to be one of the underlying key success to the adizero. simple one piece design. Could a separate boots test be posted with the Adizero leather version. It seems like your only complaint of the boot is the sprint skin (not really a complaint, but just something you are not used to) so maybe the leather version should be done separately. That is one area where the Adizero really has it over the Mercurial in that it offers leather for “touch” players meaning the boot is not just limited to running fast. Hey guys i wonder if you could help 🙂 I’m planning to get these boot but i’m not sure wether to get the sprintskin or the leather version. the sprintskin weighs less and definitely looks better than the leather but the leather gives more touch and feel for the ball… so which version do you think i should go for? I play a lot of my football on really well-made astro turf and I noticed you said that the studs were a bit longer than most cleats. 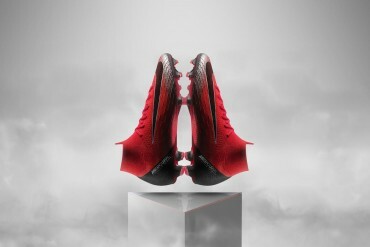 My question is, will it be a bad choice getting these cleats for astro turf? How will it affect my game and the wear and tear of the cleats, especially the studs? I am currently wearing T90 Laser III’s and F50.9’s and they feel great on astro-turf. Howdy Michael – you might want to hang fire for a couple of weeks. Adidas have confirmed the production of a Hard Ground soleplate, which would be much better for that sort of surface than the FG. The studs are quite long for an FG soleplate, and I think you might roll your ankle if you turned too quickly on astro in these cleats! Cheers for the comment buddy, and keep checking back – we’re hoping to have full details on the HG adiZero soon! Also, I’ve read on other sites that these boots tend to run a bit large? i usually wear euro 44. I have narrow feet so would you guys recommend getting the same size or going down to eurro 43.5? Awesome review Kyle. I’ve been wearing Puma V1.06-es for A-G-E-S, on my fourth pair now. Apparently, there IS no other boot out there that fits-at-first-wear for me. Can’t say much about the durability, though. Are the Adizeros reminiscent of the V1.06? That is, if you’ve worn them before. sorry! i realized its entirely out of leather.. bahhh the images initially gave me the impression that its leather with synthetic.. my bad. anyway im curious about its durability too.. though for anybody to answer that question, we would have to wait at least 3-6 mths? 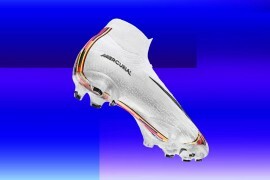 Are these boots good for a full back that likes to overlap, and attack the oppostion and whip in crosses. But when defending a hard tackler? I am thinking about switching to these from my Adipures, anyone got any advice ? ? ? ? ? Also i play in scotland. Does these boots give you much protection from getting stood on and hard tackles on you ? ? ? ? This is the only Adidas boot that is good for my wide feet. The rest Pures, Preds are all too teeny twinkle ballerina toes for my feet. Pity the leathers are hardly ever on discount. i bought these boots yesterday(the leather version), i think there brilliant but i played this afternoon and noticed a gap between the leather and the sole where they meet.just wondered if anyone knew this is normal? Crap for a couple of hundred dollars worth !! Yes it is normal for all leather boots. I wondered is there the leather hybrid version in any other colour then White/Black/Pink because I’m not too keen on this colour and its the only leather hybrid one I’ve found. My son also has a pair of these boots and after only 3 games the soleplate has come away from the rest of the boot. Totally unacceptable. Love how light these boots are but get a small cut under my left ankle every time I wear them!